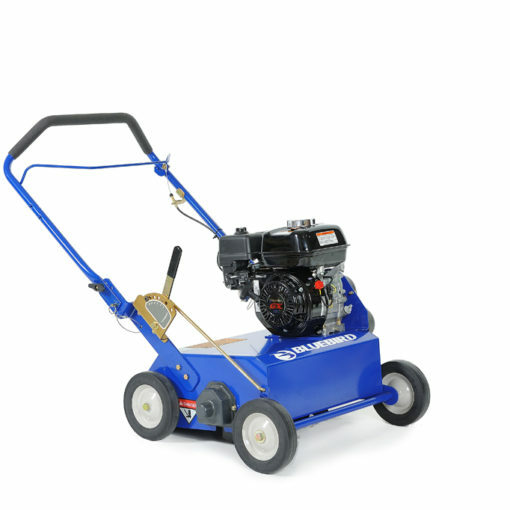 Bluebird Power Rakes offer increased versatility and productivity over competitive units. 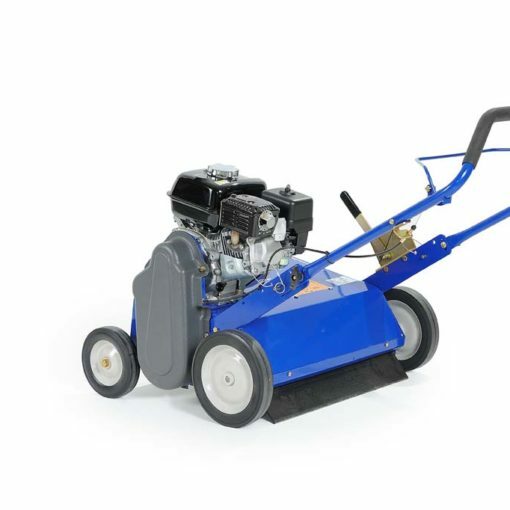 Each unit can be ordered with a choice of dethatching reels to accommodate different types of turf grass. The reels are interchangeable and are also available as accessories. 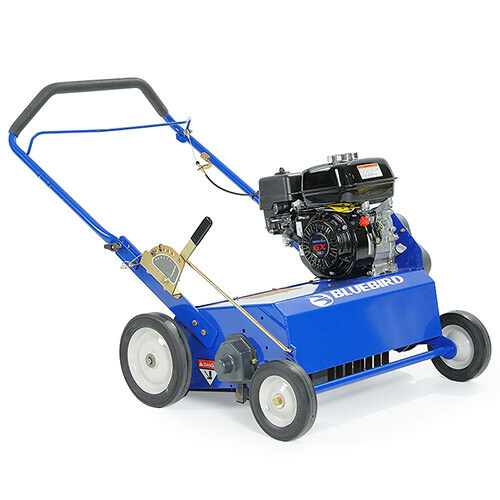 Our PR22 is the widest unit on the market at 22″ which provides a productivity and ROI advantage to contractors and rental stores and is ideal for homeowners with larger property. 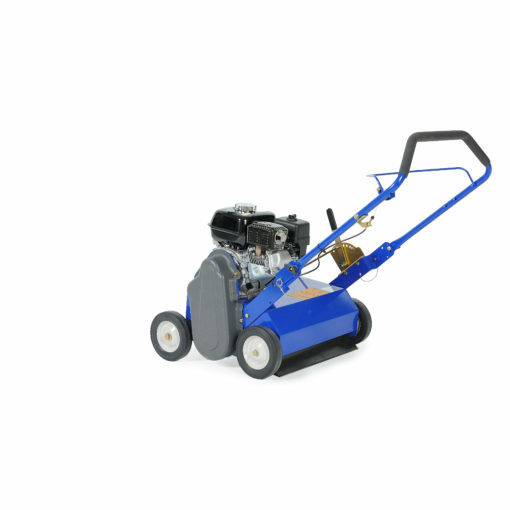 The PR22 can also be easily converted to add a catch bag to eliminate clean-up after raking. Our D 110 is the ultimate in productivity as a 38″ wide towable unit. 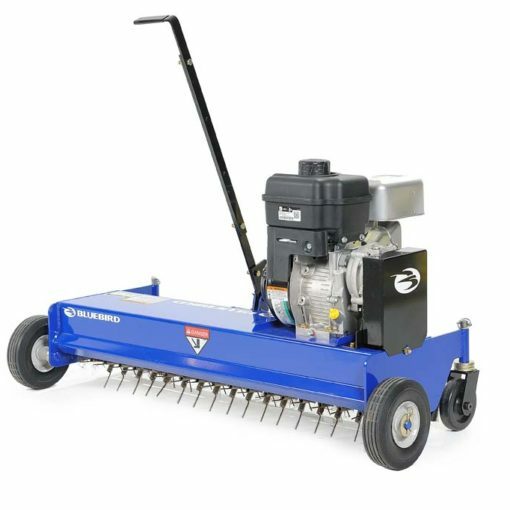 All units are equipped with a simplified depth control lever adjustable to 7 preset depths which is critical for effective power raking. 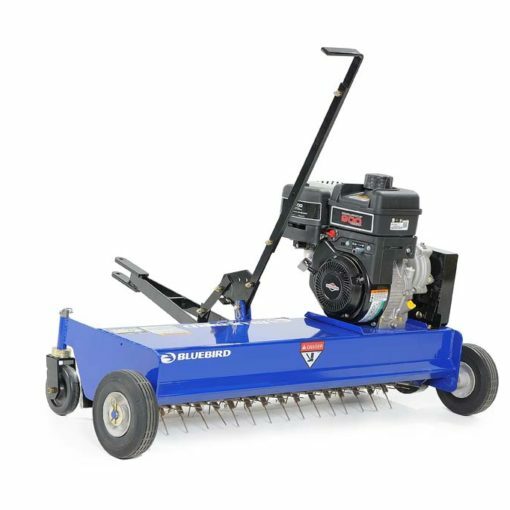 Simple to use, rugged and productive, Bluebird Power Rakes are the best choice.